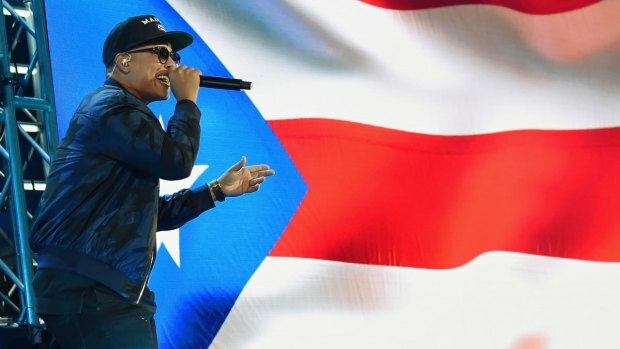 Puerto Ricans March in Washington, D.C.
Thousands of demonstrators, including award-winning playwright Lin-Manuel Miranda, marched through Washington, D.C. on Sunday to ensure people don’t forget the ongoing humanitarian crisis in hurricane-ravaged Puerto Rico. 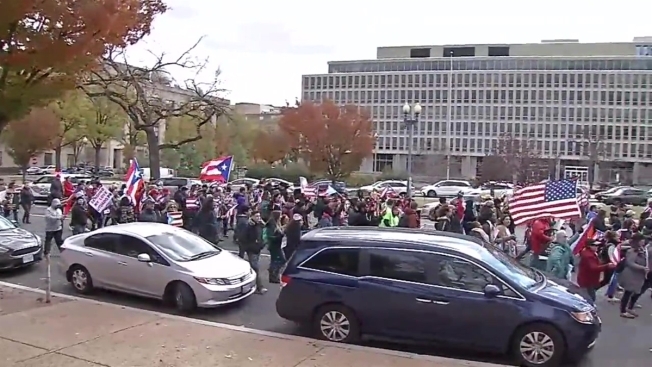 People carried Puerto Rican flags as they marched from the U.S. Capitol to the Lincoln Memorial. Some carried signs reading "We are not second-class citizens." Hurricane Maria hammered the island in September, but the recovery effort is far from over. A little more than half of the U.S. territory is still without power, according to the Puerto Rican government website. Speakers at Sunday's rally called for more federal support. Miranda, marching with his father and mother, carried a Hispanic Federation banner reading "Fight For Puerto Rico" leading the latter half of the thousands of marchers. He joined in with the call and response chant of "Puerto Rico, Presente" (Puerto Rico is present) and in shouting a few drawn out "¡Weeepaaas! The term "wepa," sort of like "yowza," is a popular expression in Puerto Rico, NBC News reported. The "Hamilton" creator has made a number of efforts to raise money and bring aid to Puerto Ricans. He has brought together artists to produce the single "Almost Like Praying." Sales of the single have raised $500,000 for the island, Miranda announced at the Lincoln Memorial rally. The White House recently sent congress a $44 billion disaster aid request. Lawmakers from hurricane-hit regions said that is not enough money.